As part of the CRSS- SaferWorld- OESP project Beyond Boundaries Phase III, a Pak-Afghan track II series of dialogues and outreach, the first meeting of the Pakistan Afghanistan Joint Committee (PAJC), was held at Kabul from 14 to 17 December, 2017. During the visit to Kabul as part of outreach and university interaction planned for the group, two members each from the PAJC visited the Karwan University on Saturday 16 December. 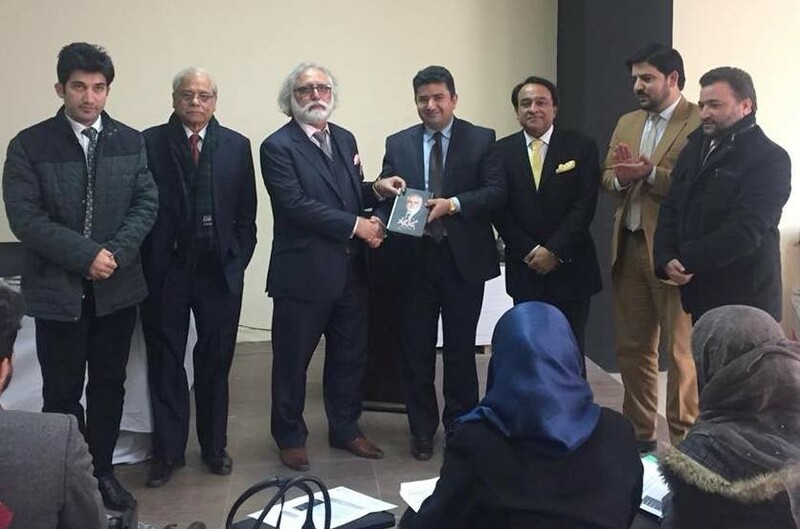 The Pakistani speakers were Toaha Qureshi, International Expert and Chair and Zahid Hussain, senior journalist and author, while the Afghan speakers included Advisor to CEO Mozammil Shinwari and former Governor Nangahar Salim Khan Kunduzai. CRSS was represented by Aized Ali, project Director Beyond Boundaries. The PAJC group was greeted and welcomed by the Vice Chancellor of Karwan University, Professor Andesh. He thanked the organizers to have arranged such important interaction for the students of university to talk about Pak-Afghan relations and understand better with an open mind and neutral perspective. Other faculty members and about 80-90 male and female students from political science, law, business administration, and international relations faculties participated in the dialogue which comprised presentations by one member each from both sides, followed by an interactive Question and Answer (Q & A) session. Among the students, about 40 percent were female students60 percent. Speaking first from the Afghan side, Mozammil Shinwari thanked Professor Andesh for inviting the PAJC members to Karwan University. He introduced the panel of speakers and briefed about Beyond Boundaries and important track 1.5/II initiative for public to public dialogue and to lobby and put pressure on both governments with the objective of improving bilateral relations. He also told the participants about the results achieved by the project in the last phase such as movement and concessions on the refugee issue and also the visa regime. He said that Pakistan is a major trade partner for Afghanistan, but recently the volume of trade has decreased. He also briefed the participants of the dialogue held between the two PAJC groups on Friday and the Policy recommendations, noting that the groups have recommended to take important measures to improve the bilateral and transit trade, also on education and scholarships. Toaha Qureshi speaking from the Pakistan side said that it was a great pleasure for him being in Kabul, as this was his first visit to Afghanistan. Both Afghanistan and Pakistan have suffered a lot because of terrorism, every second day there is a suicide bombing attack. We have had very useful dialogue and meetings under Beyond Boundaries, it is an excellent initiative. He further said that peace is very important, but peace will not come without paying a price; we have already paid the price. He said that the two P’s are very important in Pak-Afghan relations; People-to-people and parliament-to-parliament. “I am glad that these delegations have parliamentarians from both countries, and we have just visited your parliament and had a very useful meeting with the Speaker and other parliamentarians. I am grateful to CRSS and OESP for taking such an important initiative. Zahid Hussain speaking from the Pakistani panel said that Afghanistan is not unfamiliar to him as he has been coming here since 1992, have seen this country devastated by wars. “Now, I see a remarkable change and improvement, the country is moving forward. Nothing gives me more pleasure than see young male and female students going to schools and universities”, he added. But, there is a major dilemma of distrust and misperceptions: “I would like to hear your perceptions and views about Pak-Afghan relatiuons”. If people start talking with more people-to-people contact, they will be able to pressurize their governments. Lastly, he said that terrorism is a menace that we have faced jointly and have to tackle jointly by both countries. Salim Khan Kunduza speaking from the Afghan side said: “Let me first thank CRS & OESP for this wonderful Beyond Boundaries initiative. We have lot of similarities like culture, religion, values etc. Pakistan has given home to our refugees for about four decades now; even I have lived and studied in Pakistan”. He further said that geography we cannot change, we will always be neighbors, we have to find ways for how to bring the two countries together, remove distrust and misperceptions. “I would request you as youth to talk mostly on peace, on the way forward for joint peace progress”. Let’s not touch on the politics, military, or intelligence side of relationship. We have to concentrate on people-to-people, civil society and parliamentary contacts. The main purpose of these dialogues is to have interaction between civil society, people-to-people, and parliamentarians. The solution is to talk to each other through constructive dialogue. A male student, Mohd. Javed asked the Pakistani panel that how much power the civil government of Pakistan has to take decisions on security and peace? Another male student asked Are Pakistan- afghan relations state-to-state or between non-state actors? Why are Afghanistan’s relations with India a problem for Pakistan? Another student almost asked the same question saying why does an India-Afghanistan relation affect Pakistan-Afghan relations? Another student accused Pakistan of harboring the Taliban Shuras, providing safe havens to terrorists who attack Afghanistan? And questioned why is that being done? He also mentioned that the Pakistan Army fired missiles in border areas of Afghanistan? He questioned if Pakistan is a friend then why all this? A female student asked “Are you honest with us in general and economically, because practically we do not see this honesty”? Most of the questions from other students also revolved against the same accusations highlighting the distrust and misperceptions. 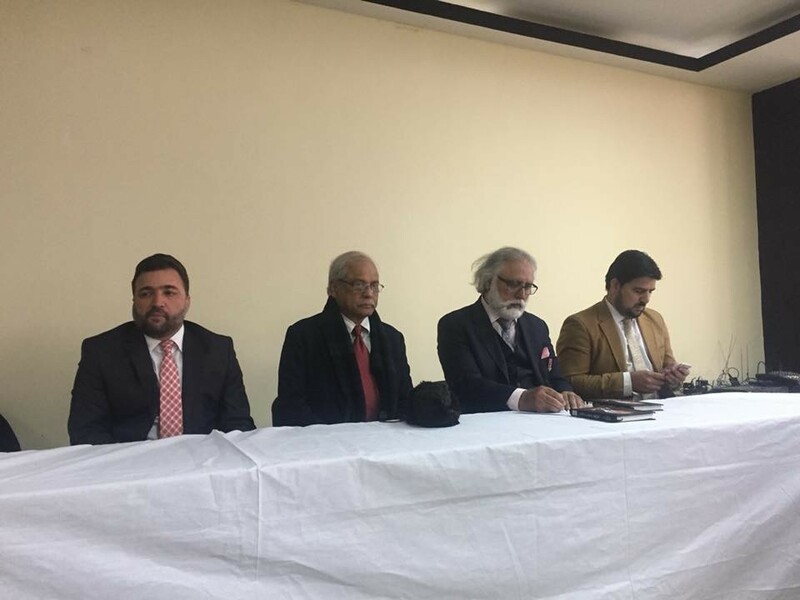 Replying to all the questions, Zahid Hussain from the Pakistani panel replied: “we are here not representing the government, if we combine the questions; the thrust is accusations and mistrust. You have to understand the fact that we have gone through the same tragedies of terrorism. Yes, we have made mistakes, there is historical baggage, but we have also played positive role alongside Afghanistan during the Soviet invasion. I as a Pakistani author have written two books on these subjects; Frontline Pakistan and The struggle with militant Islam. My feeling is there exists a huge gap for understanding the reasons that has created the distrust. The Pak-Afghan relations should not be based on political and security levels; it should be more focused on people-to-people, trade, education, cultural exchanges. We have to move from geo-political to geo-economic interests”. Zahid further stated that we have to stop blaming each other, if according to your accusations there are Afghan Taliban sitting in Pakistan, similarly Pakistan blames that there are TTP sanctuaries in Afghanistan. “I agree that Afghanistan’s relationship with India should not affect Pakistan. Afghanistan is an independent and sovereign country but at the same time it’s soil should not be used by any other country for for involvement and attacks in Pakistan. Toaha Qureshi MBE responding to the questions said: “”we are here to convey that we have to use this opportunity to improve people-to-people contacts. As ordinary people we need to have good relations between Pakistan and Afghanistan. Let us start talk about peace and harmony among people, particularly the youth of both countries”.